Spanning 660 feet, the Grand Hotel's Front Porch is the world's largest. One of the best views of the Grand Hotel is from the waters surrounding the island on a kayak! 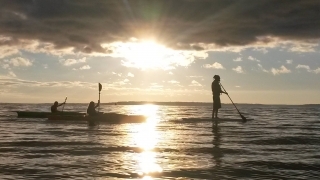 Our guided kayak and SUP tours are a favorite amongst Grand Hotel guests.